Wizard shows list of mobile phone currently connected to PC. 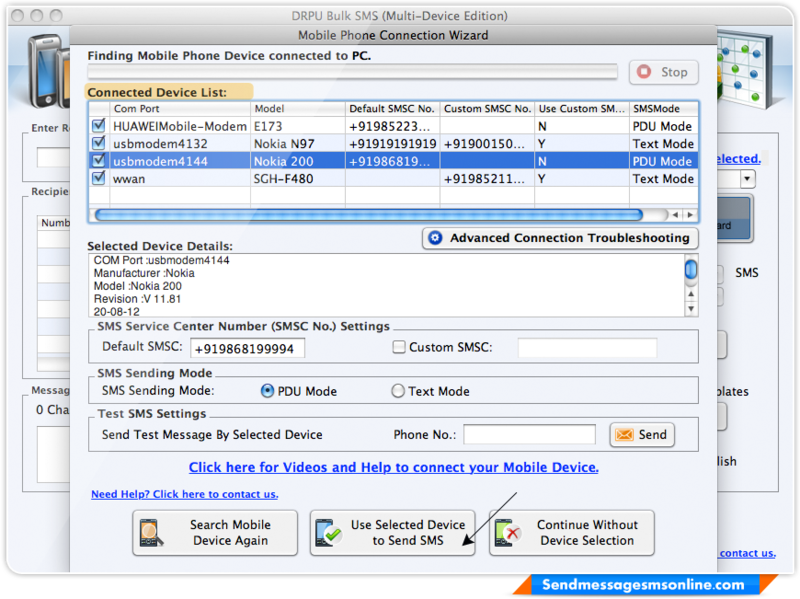 Choose device from list, set SMS Sending Mode and click on “Use Selected Device to Send SMS” to continue. 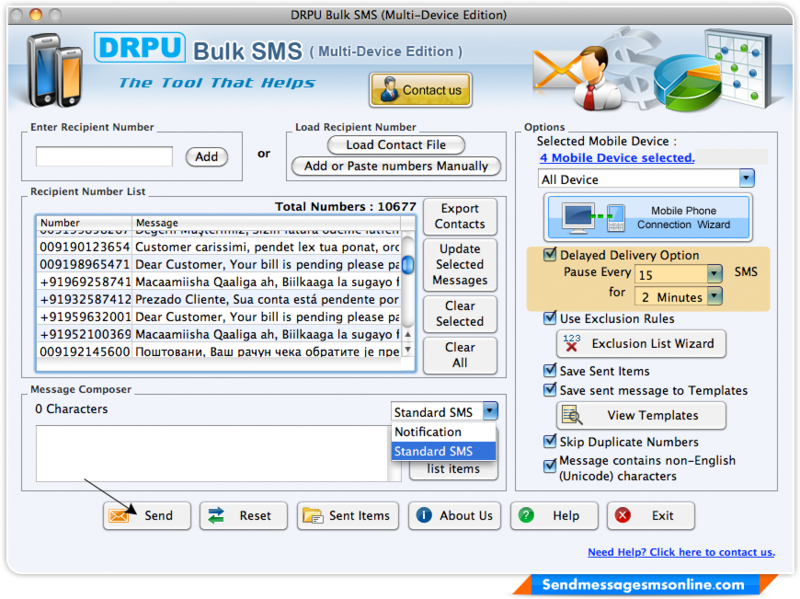 Load recipient numbers, choose options from right panel then click on “Send” button to send messages. 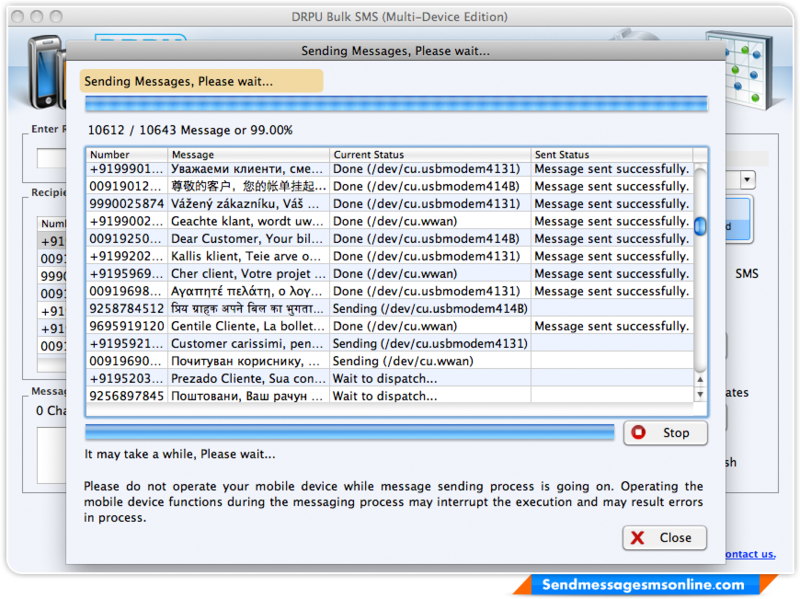 Wizard shows running status of message sending process.